Just a quick Thursday (ahem...Friday) tips post this week. Are you a fan of the big wide angle scenics? Who isn't really? I love a great wide angle shot of sweeping vistas with an interesting foreground. But is that the only way (or even the best way) to capture the beauty of the American landscape every single time? Next time you are out taking landscape photos, by all means get your sweeping wide angle shots, but then switch over to a telephoto or get closer to your subject with your wide angle lens. Try isolating parts of the grand landscape and see if you can't find "the beauty in the details". This image was taken at Scott's Run Nature Preserve. Here Scott's Run flows over a small waterfall just before joining the Potomac River. Sunrise over the opposite bank of the Potomac bathed the scene in warm, low-angle, early morning front lighting. This image was taken as part of a project about some of Northern Virginia's streams that I'm currently working on. 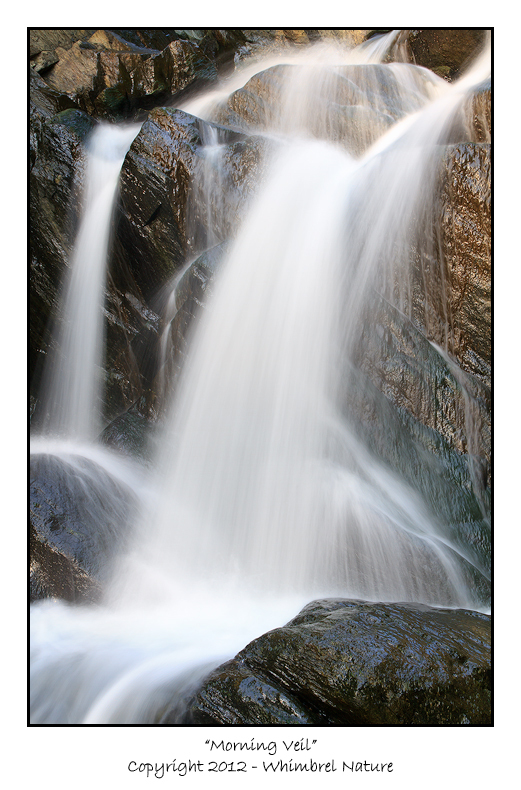 While not technically a telephoto isolation, I got up close to the waterfall and zoomed in with my 18-55mm lens. Check out "Patterns" and "Winter Evening at Great Falls" for more examples of landscape isolations. I love this Elijah, it feels very intimate. Great tip, Elijah, and love the image!